I somehow missed International Sushi Day (Monday), but sushi should be eaten everyday! Here are some of my favorite spots and what I order when I go. Kanpai: Kanpai is somewhat of a hidden gem (that a lot of people know about), run by Chef Sean Park. The menu is a combination of sushi and Korean dishes, because Kanpai is Korean owned. One note about Kanpai is that it is BYOB, which I don’t mind because your bill ends up being a lot cheaper, but is somewhat of an inconvenience if you do not know ahead of time. What I order: 1) Yellowtail Carpaccio: I love ordering a yellowtail carpaccio in place of hamachi sashimi because the portion size is usually larger, Kanpai’s is done really well with a tangy ponzu vinaigrette which pairs well with the fatty Hamachi and a great way to start the meal 2) Dynamite Roll: I’m not a huge roll person when it comes to sushi, because I feel so heavy afterwards, but this is a roll is riceless and also a really interesting combination because it has the addition of kimchi puree in it which makes each piece a little flavor bomb in your mouth! 3) Selection of Sashimi/Nigiri: Uni (Sea Urchin) Nigiri topped with quail egg, Amaebi (Sweet Shrimp), Toro (Fatty Tuna) and whatever else chef recommends 4) Tonkatsu Ramen: Depending on how full I am after everything else, sometimes I’ll split a bowl of their ramen, the Tonkatsu broth is so incredibly rich and flavorful and it’s such a good dish. Or, skip my suggestions and enjoy the omakase experience, which literally means 'I'll leave it up to you' and gives Chef Park free reign to design your dining experience. Miyabi: Miyabi is well known for their hibachi, but what many don’t know is that they have an excellent sushi bar. Their sushi bar is led by Chef Yuichiro Takebata better known as Chef Junior who trained in Kyoto before arriving in the states. Most of their fish is flown in from the Tsukiji Fish Market in Tokyo, Japan, aka the most famous fish market in the world. In addition to sushi, nigiri and sashimi, Miyabi’s sushi bar has an EXCELLENT selection of Japanese appetizers. What I order: 1) Beef Tataki: I love, love, love this dish. The dish consists of seared beef, sliced super thin, topped with green onion, a vinaigrette and served with a slice of thinly sliced sweet onions and house-made sriracha 2) Avocado Salad: written about here 3) Spicy Tuna Sashimi: I love this dish for its simplicity, unlike most spicy tuna dishes, this dish does not have a thick sauce or any mayo, instead large pieces of ahi tuna are coated in a little bit of sesame oil and togarashi (Japanese chili powder) served with shredded daikon and a shiso leaf 4) Chef’s choice selection of sashimi: Because their fish comes in from Japan, they often have offerings other places don’t so I like to get the chef’s suggestion on what to order or just leave it up to them completely. Oku: Oku is definitely a trendier spot than the others on the list, but with good food to back up the atmosphere. In addition to good food, Oku, has fantastic cocktails, my favorite is their ‘Shiso Delicious’ (sub gin) gin, St. Germain and cucumber is my favorite combination, but the freshness of the shiso with the acidity of the lime really takes the drink up a notch. I’m also a fan of their Sakura Fizz, because I love a cocktail with egg whites in it. What I order: 1) Blistered Shishitos: because I’ve never met a shishito I didn’t like 2) Wagyu Tartare: There’s pretty much no wrong way to do wagyu, but this is definitely the right way, the wagyu tartare is topped with an egg and served with lotus chips that are the perfect vehicle for this deliciousness 3) Otoro Tartare: I honestly cannot choose between these two tartares ever, because Otoro (fatty tuna) is more or less like the fish version of Wagyu in the fact that it’s so tender and just melts in your mouth, the tartare is then topped with caviar which adds pops of salty goodness and sits in this incredible ponzu dressing that perfectly balances out the dish 4) Snapper Nigiri: Because the tartares are both so rich, I love to pair them with the snapper nigiri which is served simply with shiso, a pinch of black sea salt and lemon. 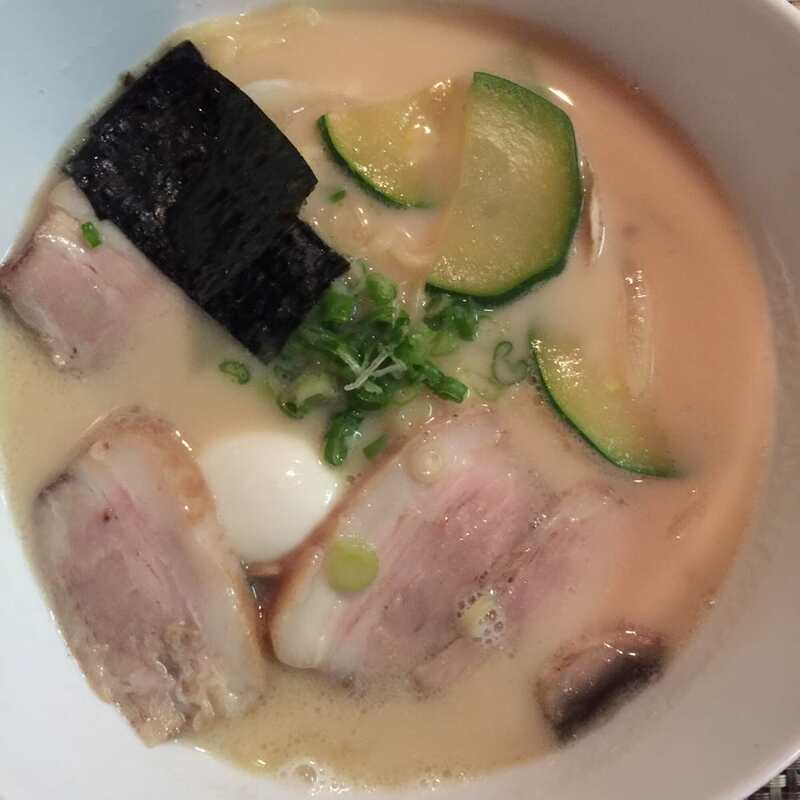 Sushi-Wa Izakaya: Full disclosure, I have not visited this new addition to The Workshop yet and I typically don’t write about things I have not experienced, but I’m so excited about this opening that I’m getting a little ahead of myself and sharing what I know so far. Good sushi is definitely not abundant in Charleston, but even less available is Japanese cuisine outside the realm of sushi. An Izakaya is a Japanese ‘pub’ which serves beer/sake and Japanese small plates and I am so excited to have Izakaya style dishes available at The Workshop. What I plan on ordering 1) Karaage:Japanese fried chicken or popcorn chicken 2) Hamachi Kama: As I stated previously, Hamachi is one of my favorite fishes and the kama (collar) is one of the best parts of the fish, Hamachi Kama or roasted fish collar is a very popular Izakaya dish 3) Chirashi Bowl: A Chirashi bowl is essentially a sashimi sampler served over rice, this is one of my favorite ways to sample sashimi and it looks like Sushi-Wa has a great selection. Pictures of their board show that they have a mix of Japanese and internationally sourced fishes, but almost half their offerings are local, like the flounder, snapper and triggerfish, which is really awesome 4) Probably everything else because it all just looks so good.